How Do Learners Behave in Help-Seeking When Given a Choice? 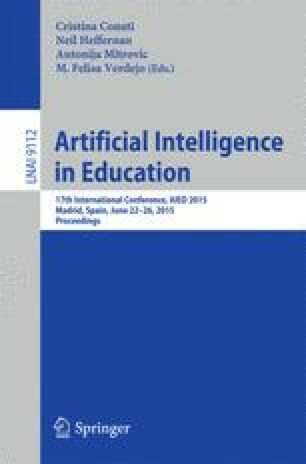 We describe the results of a study that investigated learners’ help-seeking behavior using two feedback options implemented in an ITS for Java programming. The 25 students had the choice between asking for feedback on errors in their programs and feedback on possible next steps in the solution process. We hypothesized that learners’ choices would depend on correctness of their programs and their progress in problem-solving. Surprisingly, this hypothesis was not confirmed.